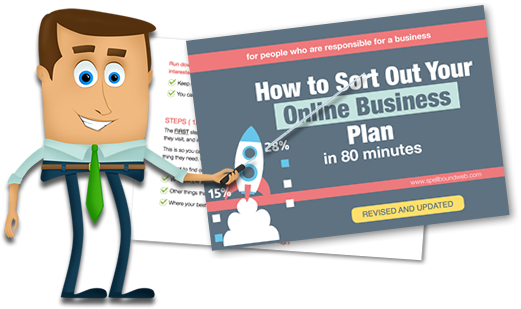 "PULL TOGETHER AN ONLINE BUSINESS PLAN IN 80 MINUTES"
Yes, I'd like a copy of this guide ! I hang onto your email address, but I don't pas it to anyone else. It's Easier to Follow a Checklist ! A big barrier to doing well in online business, is not knowing where to start. This will get you moving. Not knowing enough about how it all works can stop you dead ! But working out a plan removes a LOT of confusion. Just getting a first thing done often makes the next and later steps a lot faster and easier.